Warehouse security tends to be tight — for good reason. Theft, smuggling, and even terrorist activity all pose potential threats to cargo, and can put your business at financial and legal risk. But warehouse security means more than protecting your property — well-designed safety protocols can also help keep valuable staff members out of harm’s way. With so much at stake, it’s crucial to perform regular physical security audits of your building, and confirm that your logistics practices aren’t exposing your warehouse to unnecessary risks. This security checklist outlines the important role that comprehensive situational awareness plays in your warehousing operations. 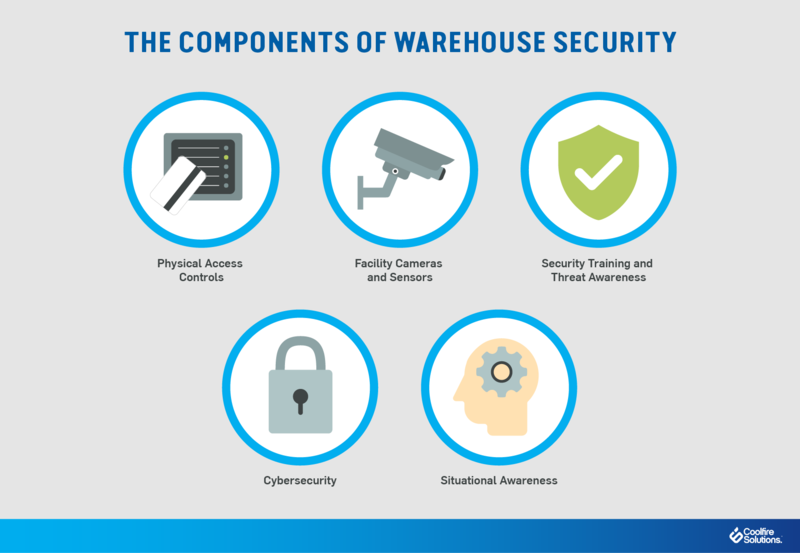 A major component of warehouse security is controlling who has access to the facility — and when they have it. Your situational awareness checklist starts with secure perimeter fencing and a staffed gatehouse. All visitors and vendors, including temporary staff, must have their bags checked and their activities supervised. If possible, your facility should implement a system with RFID-enabled ID cards for positive identification of all authorized staff and visitors. Vehicles should also be supervised: private vehicles should be parked away from cargo areas, and pickups and deliveries should occur in a designated area only. Besides managing approved visitors, you can configure the facility so that unauthorized or malicious visitors can’t gain entry. A physical security audit should test possible weak points like fire exits, roof hatches, skylights, and door hinges — all must protect against forced entry. All windows, gates, and fences should have locks, with keys controlled by management. Effective warehouse security relies heavily on the security technology you put in place. Surveillance cameras on all sides of the facility are essential — the feed should have 24-hour maintenance, with at least 30-day storage of the footage. To ensure that you are able to recognize individuals on the tape, use 24-hour lighting — or LED lights with motion sensors — in all areas inside and outside of the building. After hours, you can enhance security with an alarm system based on motion detectors and glass-break sensors. Alarmed sensors are essential during work hours as well, as your fire suppression system, hazardous gas detection, and air scrubbers are essential for ensuring the safety of both cargo and employees. Logistics security isn’t a one-man job. At the day-to-day level, all your staff are responsible for warehouse safety, and only through proper training will they be prepared to protect the building’s assets. When you establish or adjust your procedures for receiving, processing, storing, and sending cargo, be sure to establish security checks within the process and communicate their importance to your staff. Employees are more likely to report threats if they understand exactly how to do so. You’ll want to have a system in place to record and respond in real time to cargo inspection issues like shipping discrepancies, improper container seals, or missing documentation. The attitude should be that no potential problem is too small — even small threats could signal a compromised shipment or develop into a dangerous situation down the line. And of course, you should regularly run drills for fires, alarms, and natural disasters. While a security audit brings to mind physical threats to shipments or employees, cybersecurity breaches can also compromise your operations and the business as a whole. 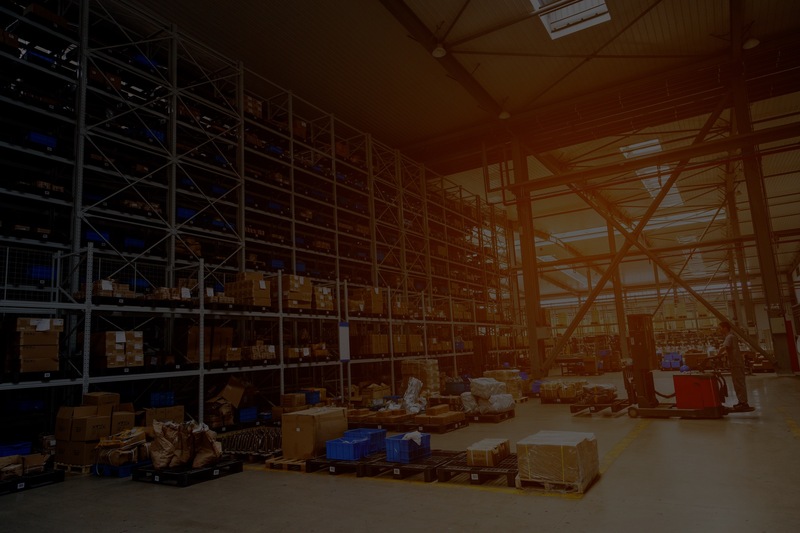 Protecting your warehouse’s data is especially important given that a well-run warehouse will keep extensive logs of all activity in the facility. With records of all shipments, drivers, vehicles, and transactions, a lot of information could be at stake. Ensure that your staff has individual logins, and passwords are automatically set to be changed every few months. Control logs should be examined every two months to ensure that there has been no suspicious activity. Firewall access violations should be reviewed, while confidential information should be stored with extra security. It’s also good practice to keep printed copies of disaster recovery plans and all relevant network security information at safe off-site locations. Warehouses are complex operations, and situational awareness is key to managing the many components necessary for robust security. Situational awareness software can improve your ability to manage the growing array of threats that today’s warehouses face. 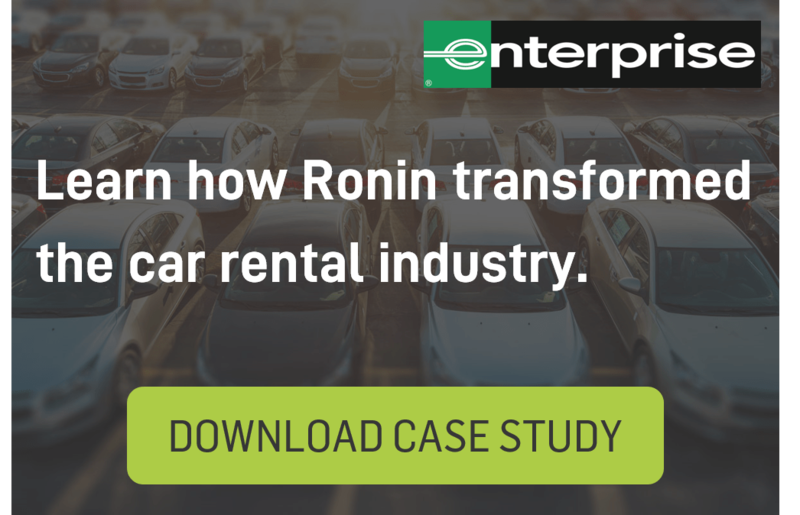 These tools enable security staff, warehouse employees, and even truckers to work together off of a common operational picture (COP) — one that ties together all relevant security assets and delivers actionable information to the individuals in position to act. With integration between surveillance feeds, alarms, and your proverbial boots on the ground, SA platforms are designed to ensure that security threats are addressed quickly and effectively. Warehouses are busy operations, where day-to-day logistical hiccups often tend to take center stage. But it’s crucial that warehouse personnel also keep the big picture in mind. If you take the time to audit the safeguards you have in place — and take note of what could be improved — it will save you time and money in the long run. Implementing these best practices will improve your situational awareness moving forward, and help protect both your employees’ lives and the cargo under their supervision.